Prather RS. Cloned transgenic heart-healthy pork? Transgenic Res. 2006 Aug;15(4):405-7. Li R, Lai L, Wax D, Hao Y, Murphy CN, Rieke A, Samuel M, Linville ML, Korte SW, Evans RW, Turk JR, Kang JX, Witt WT, Dai Y, Prather RS. 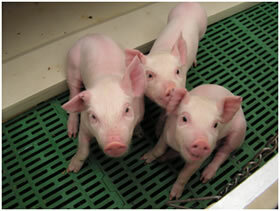 Cloned transgenic swine via in vitro production and cryopreservation. Biol Reprod. 2006 Aug;75(2):226-30.